Question: How do you make the fava tincture if not a gardener and only have access to the beans? do you know of anyone that sells the fava tincture? Reply: You really cannot make the fava tincture I use without access to fresh organic fava beans or growing the plants. You can make a tincture from sprouting the beans, but I would recommend using the sprouted beans to eat instead of tincturing them. Follow recipe in downloadable pamphlet from Robert’s site . When I did an experiment for a couple of days…. it took 15 sprouted /steamed favas (that I had put in ziplock bag in freezer) in the morning and about 6 more about 1:00 in the afternoon ( I think) to get me thru the day with enough L-dopa to function well. After the favas are steamed, which only takes a couple minutes with fresh beans,( watch for skins starting to get a split in skin) cool them until easy to handle and pop them out of skins by squeezing gently. Fresh beans do not have the same L-dopa amount as sprouted and it may require a cup of them a day to supplement your L-dopa deficiency. I like the fresh beans as is , and like to saute’ onions and garlic and throw the cooked beans in at the end to flavor and warm them. Also to throw beaten eggs on top of the onions, garlic and favas. YUMMMY. Question: How do you peel the fava bean-that seemed very cumbersome when i tried to do it…what is the time frame necessary to get it in the freezer to perverse the ldopa? Also, how do you serve eat the peeled steamed fava beans? Things are going well here at Bean Acres. We are planting trees, all kinds of fruit, berries, kiwi, hazel nut, & new herbs. Even trying grafting trees this year. I am taking a couple of new supplements…black cumin seed oil, and lithium orotate. I have good energy and working hard to get the farm orchard planted. It will soon be time to plant the summer garden plots. Still doing fine on the fava tinctures and only take a dose when my symptoms present , sometimes just once a day. Other days, if a lot is going on , may take a dose 2 or 3 times (every day is so different). Each day is special. God is so good. Blessings to you all. If a person has never eaten fava beans…the G6pd blood test shows if you have or don’t have an enzyme deficiency that is very dangerous. It is a heredity condition and fairly rare. This condition is called favism and you can Google it. I tried to find Aunt Bean’s reciepe for breakfast. I could not find it. Could you please let me know what it is as I want to start incorporating those ingredient’s in my diet. I know she uses Hemp powder, yogurt, and ground flax seeds. There was one or two more items and I don’t recall what they are. I most likely will join to be a member the fist part of the month. What follows are several questions Aunt Bean answers about sprouting fava beans and making a fava bean tincture commercially. 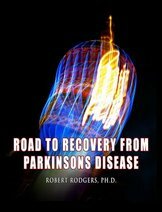 I am trying to help out a close friend with PD. My daughters are both herbalists so have training in making, etc. 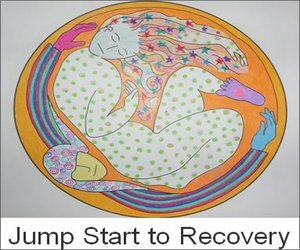 I have been helping people heal on various levels starting with my own issues, for many years. 1. Would sprouting fava beans have significant benefits? I tend to think so but would have to be ongoing so investing in a sprouter would be worth it. Appreciate your thoughts. 2. The creating a tincture process seems like a good direction my daughter might be interested in, but it is drawn out. Has anyone you know dabbled commercially in making a fava tincture? Sprouting organic sproutable dry beans is very simple and requires no special equipment. In a large bowl Soak 2 Cups favas in 5 cups water, enough to keep them covered for 24 hours (filtered water. )Then drain them into a colander (bowl with drain holes) . Pour back into large bowl and rinse well. Then, back into colander to drain. Do the rinse and drain 3 times a day until they begin to sprout well. Usually, this takes 3 to 4 days unless the beans are old or are a variety with very tough skins. Keep rinsing 3 times a day until they sprout. 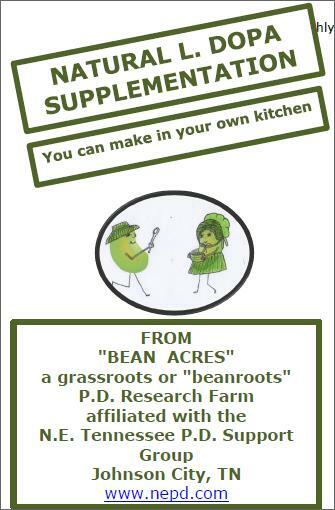 Please read the downloadable pamphlets on how to sprout beans and suggestions how to process and eat them or use them to make sprout balls, etc. I don’t know of anyone making the Fava tincture commercially and wish someone would. God bless and guide you Sam in how to help your friend. I am trying to help out a close friend with PD. My daughters are both herbalists so have training in making, etc. Ive been helping people heal on various levels starting with my own issues, for many years. I was talking to Robert Rodgers this week and just learned about this. It’s too late in the season to grow my own but I can certainly purchase organic fava beans and try to sprout them.. wow! Once upon a time RR interviewed someone who drank a lot of eggplant juice for the nicotine. Have you ever tried tincturing eggplant? I never tried juicing egg plant, but I grow it and enjoy making humus from baked , pureed egg plant. Have also made it into vegie burgers , egg plant jerky , and Parmesan , and soup. The person you heard speak about juicing was Glen Pettibone. He has done blog talk radio for Robert a few times. I do juice lightly steamed fava pods and use this to make dried l-dopa chips….very portable. Depending where you are located, you may be able to grow a fall crop, starting the 1st of July and the beans will start October 1 and go until you get below 26 degrees. I had a good fall crop here one time. (usually it gets too hot and dry for them in August and the weather turns cold for just a few days the end of October and kills them) So it is iffy at best. End of February or 1st of March is best time to plant them in east TN. May God Bless and guide you. Hi, I stumbled across your website today. Are the skins on the fava beans okay to eat and are there any nutrients in them? also if someone has already been taking the medicine for Parkinson’s Disease can they still use the fava beans? should they get off the medicine and just do a street diet with fava beans in it or should they stay on the medicine? The fava bean inner skins are ok to eat. Some people like them and some don’t. The more mature the bean , the chewier they are.If you have never eaten fava beans, have a g6pd blood test done to make sure you do not have the enzyme deficiency that can be devistating if you have favism (look up on internet) A person taking PD meds can start slow on fava beans and if they help to relieve symptoms, you can very gradually cut back on meds. It is tricky and doctors won’t usually know how to help you. If you overdose on beans, you might not notice. Keep a good journal of symptoms and when and how many beans eaten. Also when and type meds taken. Also other foods eaten. Everything comes together to be able to see the full picture. Put a special mark the times during the day when you really felt good. Some people can get completely off meds.. Fod Bless and guide you. Greetings from east Tennessee. Aunt Bean is doing very well. I am still soaking nuts to eat daily and that seemed to be a big missing link in my nutritional picture. My mandolin playing is still improving and we are still entertaining at local nursing homes. I have started making puppets to strum the mandolin …it seems that my bear is the favorite for little children and the elderly. His name is “Bearstrum” . It makes it a little more difficult to play because of the extra fur around my pick….but if I goof up, just blame the bear!! I’ve been into the seed catalogs and ordered already for spring planting. My favorite new plant from last year is toothache plant from Baker Creek Seeds….anyone out the that is a gardener should check this on out. It is amazing, and really works on toothaches, muscle pains, arthritis, etc.. A new must have plant on the farm. May God Bless You and grant you happiness and healing in 2018. Aunt Bean: May I ask if its not recommended to take Fava if you are taking Levodopa (synthetic dopamine)? Yes, fava bean tincture can be taken with levodopa….you just have to make sure that you are not taking more dopamine than you need to function properly. It is a balancing act when using pharmaceuticals and everyone is different…so it is up to you as an individual on an hourly basis as to how much you need. I feel in my heart as a “citizen scientist and self imposed Guinea pig”, that if you take more than you need, your body will stop making it’s own. Also, that you will continually need more. Like in taking pain pills, etc…. always having to increase. I test my dopamine levels by my symptoms and doing a finger tapping test. My left hand will slow down to nearly nothing when I am low….so does my mandolin playing. So, my sister…please always be careful, go slowly into any new “tests” of meds. Start low dose, not high , and work up to the bare minimum that makes you functional. Find the foods that help you the most…..eat right, exercise and deep breathe in the warm sunshine. Laugh a lot and try not to get stressed about little things. Always count your blessing and try to help others. Foods that help me most are PAPAYA, fermented or fresh; blueberries, strawberries, blackberries, apples, eggs, Nuts , green tomatoes, egg plant, sweet potatoes. I am mostly sugar free (I eat about 1/3 Cup ice cream a day) and definitely gluten free. I live in the city and got diagnosis of PD when it was already hot. Initially could not find any fresh fava beans at all & had difficulty finding dried beams. Finally found some dried beams and started sprouting them. What size of dried bean do you use? Does size or the color of dried beans affect L-dopa amount? The size and color of the fava beans does not matter, though they will all have different amounts of L-dopa content. It would be best if you can find a source for the one you like best and use it consistently so each one does not effect your dopamine levels differently. You need to try to keep this as level as possible , and only take the smallest amount that you can to control symptoms. I think the more you take, the less your body thinks it needs to keep making and you want to just give it what it is lacking and not any more. If you are going the route of making food your medicine like I am….also supply it with nuts for thiamine, apples, strawberries, blueberries, watermelon and especially papaya (if you do not have a latex allergy) Gets lots of exercise and sunshine, breath deep , laugh, dance etc…. Recently found long fresh (6” or longer) Fava beans at vegetable stands and market but farmers growing season is almost over. I am afraid I am using the wrong kind of dried fava beans and preparing fresh and dried beans poorly. The beans I found are either small to medium sized with hull removed or large (1“ to 1 ½: long) with hull still intact. Have sprouted both but after 4 days most beans but not all have sprouted but no leaves. Do I need to let the bean get a leaf? A report sent to me by a researcher said that the 4th day of sprouting is generally the highest in dopamine content. Some varieties peak at day 3. *my guess is the ones that sprout a day before the others would peak first. The beans do not need a leaf. 5 – steamed raw beans for 4-6 minutes till tender. 6 – quick froze beans and then bagged for later use. 7 – Eat/swallow 1/.4 to 1/2 beans as need for symptoms. This is good for me from ½ to 1½ hours. I don’t understand eating 1/.4 to 1/2 bean (Do you mean : 1/2 a bean or 1/2 an ounce or 1/2 a cup? You might keep a smaller bag of beans in freezer to keep from getting into the big one several times a day, or grind the beans and take out a tablespoon or what ever you need / or the amount you will use each day and put that in the refrigerator. Sounds like your method is ok of processing them. We like to remove the bean from the pod to enjoy with meals and they don’t have as much dopamine as sprouts or the pod. If you have a juicer, steaming the pods lightly until just bright green and then chilling them and juicing them works well. Then you don’t have the indigestible fibers. If the fiber don’t seem to bother you….that’s ok. With juicing them…you could freeze in ice cube trays and take out one and put in glass of water to sip on during the day as needed (keep cold in fridge) or add ground flax seed or chia to thicken the juice and make “bean blobs” in the dehydrator about the size of a 1/2 teaspoon and dry them. We still freeze the blobs to keep them longer…up to a year and my friend only takes 1 or 2 a day. I hope this helps you. You are welcome. God Bless you and guide you on your journey with PD.